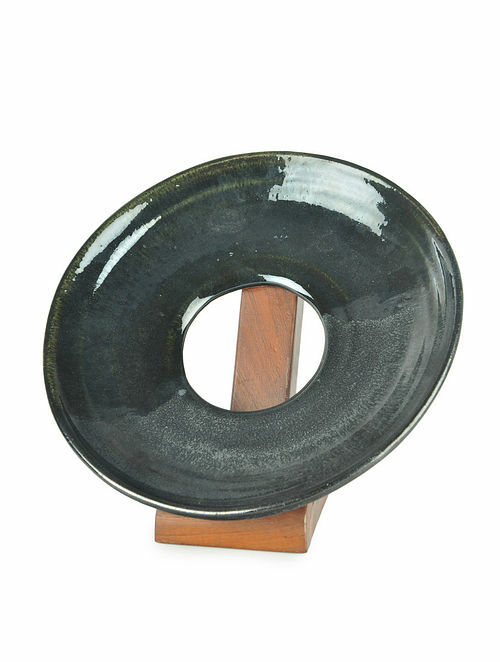 - This ceramic platter in matt glaze has been handmade by ingenious craftsmen. - The platter can be used as decorative wall-art. - Perfect to enhance your tableware or home decor. - Safe in oven, microwave & dishwasher. - The wooden stand shown in the image is only suggestive and is not a part of the platter. The same can be purchased separately. Dispatched in a maximum of 3 business days. This item is not eligible for return. Cancellation requests will be accepted strictly within 24 hours of placing the order only.